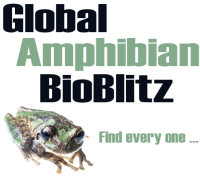 A range of resources, that we hope amphibian program managers will find useful. The global conservation community has formulated a response in the Amphibian Conservation Action Plan, and an integral part of that response is the Amphibian Ark (AArk), in which select species that would otherwise go extinct will be maintained in captivity until they can be secured in the wild. Without immediate captive management as a stopgap component of an integrated conservation effort, hundreds of species could become extinct. 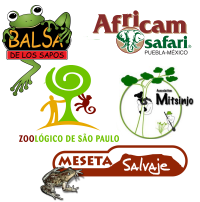 The AArk is a joint effort of three principal partners: the World Association of Zoos and Aquariums (WAZA), the IUCN SSC Conservation Planning Specialist Group (CPSG), and the Amphibian Specialist Group (ASG). 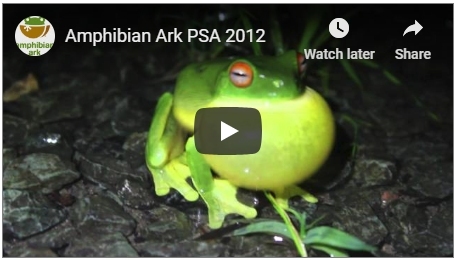 AArk is a partner in the Amphibian Survival Alliance (ASA). Our vision is the world’s amphibians thriving in nature, and our mission is ensuring the survival and diversity of amphibian species focusing on those that cannot currently be safe-guarded in their natural environments. A number of dedicated AArk positions coordinate all aspects of implementation within the AArk initiative; assist AArk partners in evaluating the conservation needs for amphibian species and regions for conservation work; lead development and implementation of training programs for building capacity of individuals and institutions; and develop communications strategies, newsletters and other messages, and materials to promote understanding and action on behalf of amphibian conservation.